During the First World War, “war shrines” or lists of men who were serving in the forces or who had died whilst serving, began to appear in many roads, schools and churches around the city. 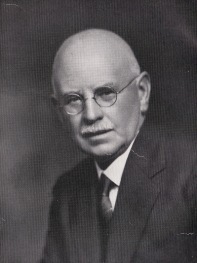 It was therefore perhaps not surprising that immediately after the war, the Mayor of Southampton, Alderman Sidney Kimber took action to ensure that Southampton’s Cenotaph would be one of the first in the country. 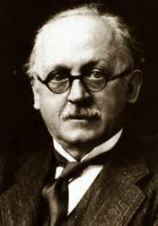 Sir Edwin Lutyens, a major national architect, was persuaded to design the Cenotaph (he later used the basic model as the design for the national Cenotaph in Whitehall). The history of the Cenotaph in Southampton is not without controversy however. After it was completed and paid for by public subscription in November 1920 many names of the Fallen were still in the process of being added to the Order of Service. Southampton’s War Memorial Committee were responsible for compiling the list of all those in the borough that had been killed in the First World War in 1918. The committee collected over 1,793 names and these were inscribed onto the recessed faces of the central pylon of Lutyen’s Cenotaph. By the time the ceremonies dedication pamphlet was produced the names had risen to 1,800, even after it went to press names were still being collected. The pamphlet only focused on ‘the men of Southampton’ yet the War Memorial Committee had also collected the names of the women who lost their lives serving in the Merchant Navy or with the Women’s Army Auxilliary Corps to go on the memorial itself. In the months following the dedication a number of families came forward asking that their loved ones also be included, but their requests were initially refused. This caused a great deal of stress for the mother of Arthur Ernest Hayball, who had died when the Merchant Navy vessel SS Antonio was torpedoed, she had written to the Town Clerk only to be told that it was not possible to add any further names. Mrs Hayball was determined to persuade them otherwise, she contacted Norton Catchpole, Secretary of the Hampshire Division of the “Comrades of the Great War”, who took up the case and advertised in the ‘Echo’ for more families to come forward. By 26 April 1921 Catchpole had a list of a further 148 names, which he sent to Alderman Kimber who headed the War Memorial Committee. As a result of Catchpole’s letters in the ‘Echo’ he was contacted by P.F. Morant, of the long-established Morant Bros. stonemasons on Malmesbury Road, Southampton. Out of respect to the families and having previously served in the war himself, Morant offered to cut the extra names free of charge, on the understanding that it would be done anonymously. He did not want a “cheap advertisement” and wrote to Catchpole that “I am offering to do this as I am an ex-service man myself and thankful my own name hasn’t got to go on there”. He signed the letter, “PF Morant, Late Sapper 26th Field Coy. RE, 1st Division, BEF”. Despite this offer, when the decision was taken to add the missing names, by then standing at 203, Garret and Haysom, Monumental Masons of East Street, were commissioned. Their invoice for £26-16-0 shows that the work was completed by 15 November 1921. The recessed panels on the Cenotaph were full and the names overflowed onto the shoulder of the pylon, where the stone was much coarser than that chosen for the panels. However, this was not quite the final act and in February 1922, Garret and Haysom were hired again to add the 1,997th and final name – William Henry Thomas Deem. One of the greatest concerns in the 1990′s was the erosion of the Cenotaph and its damage to the names inscribed due to weathering, the quality of the stones used varied significantly with some able to resist frost and water damage whereas others crumbled needing constant maintenance in order to preserve the names. Given that the Portland stone bearing the names was just a skin over a brick core continual re-cutting and redressing would result in eventual replacement of the outer skin, and Lutyen’s Cenotaph would be gone. This led to the decision to build the Memorial Wall. Two designs, one in stone and one in glass were looked at, and the decision was finally taken to go with the glass wall. The decision was also taken to add the names of the dead of the Second World War, and those who had died in other conflicts. 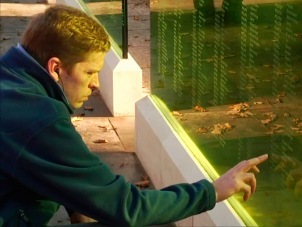 On 11th November 2011, Southampton City Council unveiled the new Memorial Wall that now surrounds the Cenotaph. This commemorated an additional 371 names from WWI, a total of 927 names were listed for those who died in WWII and 3 names from later conflicts. I do have some more information regarding Himsworth, the CWGC have replied to my letter. As you may recall You did promise me a photo of his name on the memorial. Sorry made a mistake his name is “Walter Ford Wishart” 405823 who died 3rd November 1918 age 23, so of Matilda Wishart of Southampton.